Gov. 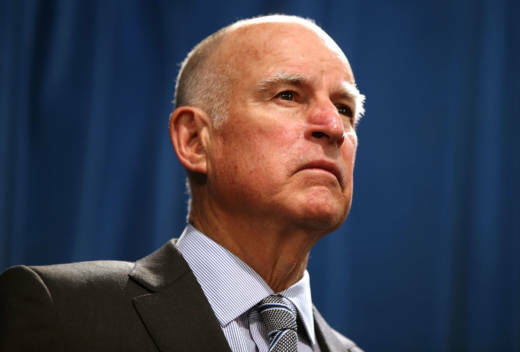 Jerry Brown has agreed to a series of interviews aimed at documenting his extraordinary life in California, going back to his years in the seminary all the way through his fourth term as governor, which ends in January. The interviews will be conducted collaboratively by KQED and the Oral History Center at The Bancroft Library at UC Berkeley to provide a comprehensive oral history of his adult life. In a series of recorded conversations, Brown will talk with KQED Senior Politics Editor Scott Shafer and the OHC about following his father Pat Brown into public service, including his terms as California secretary of state, governor, mayor of Oakland, attorney general and again as governor. The conversations will also include his three presidential bids, his role in the global climate change movement and more. KQED's Chief Content Officer Holly Kernan said the station is honored the politics team has been chosen to produce this series with Brown. "Documenting history in real time and then over time is part of our community service mission," she said. "We fully expect lively conversation and rich memories of the momentous change in California that Gov. Brown witnessed and influenced for more than a half century." The conversations between Brown, Shafer and the Bancroft Library team are expected to span at least 30 hours and will be conducted at a time and place of Brown's choosing, mostly after he leaves office. An edited version of the conversations will be broadcast on the radio and incorporated into a podcast series by KQED. The final full versions of the interviews will be housed at the Oral History Center, which will also make transcripts, audio and video copies available on its website. The library has similar recordings of former Governors Earl Warren, Pat Brown and Ronald Reagan. The conversations with Brown are expected to begin toward the end of the year.